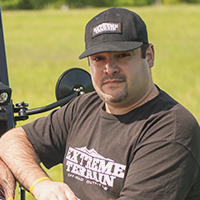 ExtremeTerrain no longer carries the Muffler Shield Kit (07-18 Jeep Wrangler JK). Please check out 2007-2018 JK Jeep Wrangler Stock Replacement Exhaust for an updated selection. Reduce Heat. Help maintain optimum temperatures and prevent damage with the DEI Muffler Shield Kit. Designed to fit most mufflers on the market, this JK heat shield will assist in reducing the radiant heat off your muffler providing a cooler interior while preventing damages to under carriage components. Quality Construction. This muffler wrap is made from 10mil dimpled aluminum with a 1/8 inch needle glass insulator for intense protection. It includes four Stainless Steel Positive Locking Ties for an secure and reliable fit. Application. The DEI Muffler Shield Kit is suitable for use on stock and most aftermarket mufflers found on 2007-2018 Jeep Wrangler JK and JK Unlimited models. Will this be a suitable replacement for the super flimsy OEM heat shield that easily rusts out and rattles? Hello! Yes this is a great replacement to the notoriously flimsy heat shield that come on this vehicle from the factory! Works great. Larger than needed so I used in CJ7 as well. Clamps are easy to install.